There’s nothing better than cuddling up at the end of a long, chilly day. 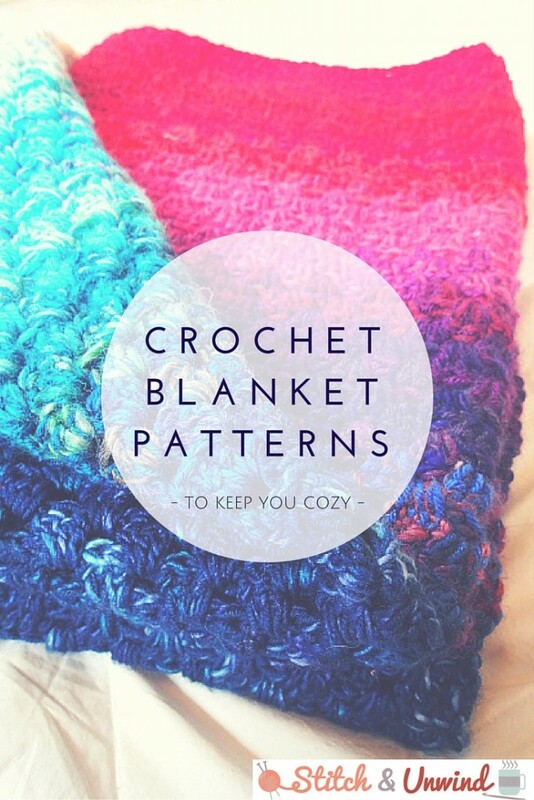 Throw a crochet blanket in the mix and you’ve got a recipe for the perfect evening! 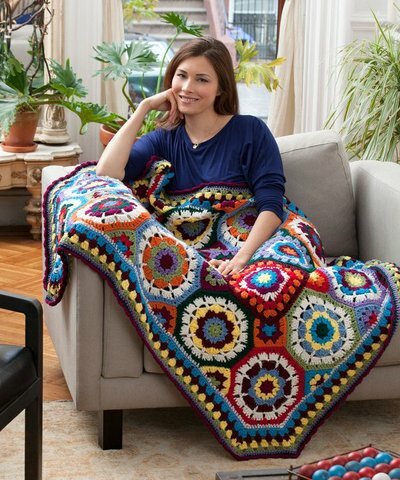 These free crochet blanket and crochet afghan patterns will have you warming up in no time. If you’ve been in search of a crochet project to start in on, learn how to crochet a blanket with these free patterns and you’ll be toasty all season long! A crochet blanket makes a wonderful gift for the upcoming holidays and looks around the home. Just add a hot drink and a crackling fireplace and you’ll be the picture of perfection! Lazy Girl Crochet Blanket – If you need a quick project, this easy crochet blanket can be worked up in under six hours! 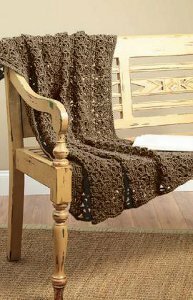 Long Live the Queen Throw – Lounge like royalty with this gorgeous neutral crochet throw. Northern Lights Granny Throw – The colors in this free crochet pattern are seriously astounding. No Place Like Home Throw – Home might be where the heart is, but it’s just not complete without this crochet throw! Tunisian Entrelac Blanket – If you’re looking for something a little exotic, this colorful crochet blanket is just what you need. Addicted to Chevron Afghan – A funky chevron pattern is a fun way to spice up a room’s decor. Flower Garden Crochet Blanket – Want a crochet blanket pattern that stands out in a crowd? This flower garden blanket is sure to make a splash! Suzy Snowflake’s Favorite Afghan – Geat up for winter with this pretty snowflake throw! Celtic Weave Crochet Blanket – This gorgeous crochet blanket would look perfect in any room. One Ball Mini Throw – This quick and easy afghan is great for using up extra yarn. I Love Color Crochet Afghan – The title says it all – this unique afghan pattern is colorful and cute.